Is there anything more Swedish than the Swedish meatball? It is up there with ABBA, Volvo and IKEA. Speaking of IKEA, this is probably where most people have tried Swedish meatballs outside of Sweden. Not to discredit IKEA meatballs which are quite tasty, but this is really a "fast food" (mass produced) variant of the Swedish culinary favorite. 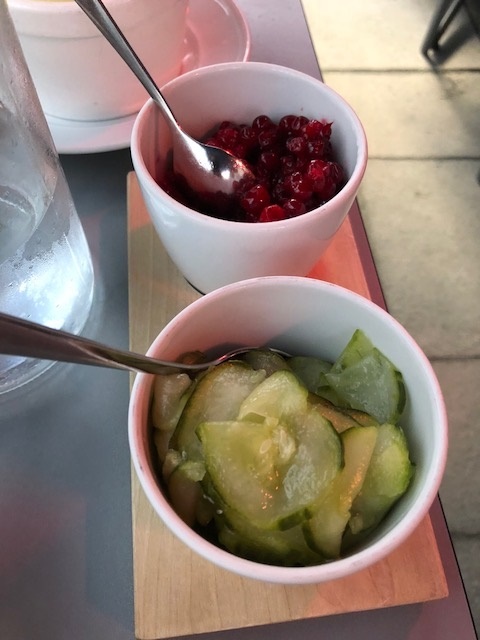 If you are visiting Stockholm then there are many great restaurants that serve meatballs with all of the traditional fixings so you can try and compare. 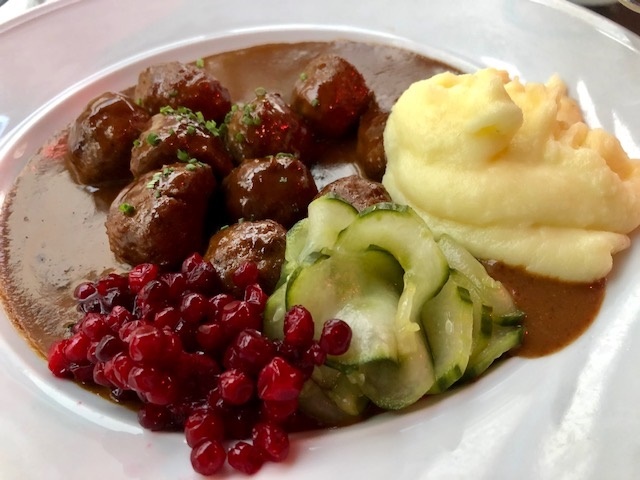 I have done a similar article about restaurants serving traditional Swedish cuisine (often includes meatballs) but so many guests ask specifically for meatballs I thought it deserved its own article. The first time "köttbulle" (Swedish for meatball) was used in text was 1755 in a cookbook written by Cajsa Warg, but they are obviously older than that. Classic Swedish meatballs are handmade with ground beef/veal, milk, egg, breadcrumbs, diced/fried yellow onion and salt & pepper... but certain variations of the recipe are often found (like adding allspice, nutmeg or other spices). One popular variation found on some menus is "wild meatballs" with ground moose. Click here for recipe. 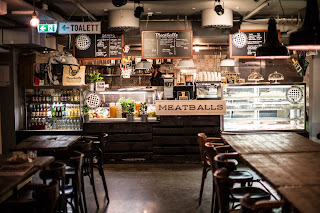 There are, of course, other good restaurants in the city with meatballs on the menu. And, hey, we also have the world's largest IKEA in Stockholm if you prefer their meatballs! If you are staying at the Hotel Rival, contact me directly if you want more information or help in booking a table.